(By Raheel Adnan) Renowned Pakistani climber from Hunza, Nazir Sabir, referred to the Nanga Parbat Diamir Base Camp massacre as 9/11 of mountaineering. After the attack, it was being feared that the incident may hamper all current and upcoming summer expeditions to Pakistan. Apart from mountaineers' decision to cancel their climbs, there were chances that government of Pakistan may deny mountaineering activity on security basis. But at the moment, it appears that majority of Karakoram expeditions are moving forward as per plan, except some delays related to logistics and bureaucratic issues. Prior to the Diamir BC massacre, March 2009 attack on Sri Lankan cricket team was the first and only incident of a terrorist assault on a sports team in Pakistan. Six police men and two civilians were killed in the incident, whereas six members of the Sri Lankan team were injured. Since the incident, there has been no international cricket in Pakistan. 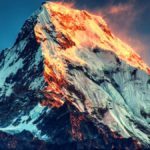 Along with strong condemnation of the Diamir Base Camp attack, several mountaineers want to proceed with their climbing goals in Pakistan, particularly in the Karakoram region. 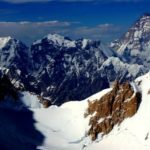 The Romanian Team, who is climbing Nanga Parbat from Rupal side, will remain on the mountain and try to reach summit depending upon weather. Similarly, Tomek Mackiewicz and Marek Klonowski are positive about their fourth winter attempt on Nanga Parbat, later this year. 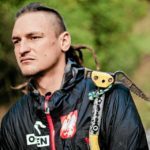 Tomek told off.sport.pl that their plans will not change and they will be going to Nanga Parbat in the winter. Amongst more than 75 climbers from 16 winter expeditions to Nanga Parbat, Tomek is the only third climber to go beyond 7000m in winter. Japanese Tochigi Expedition was first team to reach K2 Base Camp, this year. They had already established ABC when the news of Nanga Parbat massacre reached them. As per their latest dispatch on 24th, team seemed satisfied with safety in the region. Spanish Alex Txikon also announced on 24th that he is traveling to Islamabad for K2 attempt. Alex’s partner Felix Criado is already trekking to BC. Six members of British-Canadian-Nepali team, whose plan was to reach Skardu via KKH, remained stuck in Islamabad for a few days due to Nanga Parbat incident. Adrian Hayes wrote this morning that they were able to fly to Skardu, yesterday. Team will now be heading to Karakoram’s heart to climb the Mountaineer’s Mountain. Swiss K2 Team is currently trekking to Base Camp. “As far as the wheel can take you, from now I'm on foot!” Mike Horn posted on his Facebook page, yesterday. 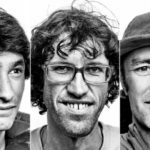 Another addition to K2 Teams is of Argentinian duo Matoco Erroz and Juan Pablo Milana. They learnt about the Nanga Parbat Base Camp attack at Islamabad airport. After various hiccups, the team eventually left Skardu today and will be at K2 BC within a week. 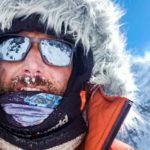 The Polish team led by Jacek Berbeka attempting to find bodies of Maciej Berbeka and Tomasz Kowalski have reached Broad Peak BC. Maciej and Tomasz died above 7700m after first winter ascent of Broad Peak in March. 24 climbers team with majority of members from Austria and Germany (AMICAL alpin) arrived at the foot of mountain on June 12th. They reached C3 (7100m) this week and deposited gear there. 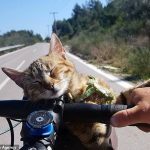 As per Michael Haselsteiner, team is ready for summit push now. Weather has generally been good since their arrival but snow and clouds are expected over the weekend. Team is currently resting in BC. FTA Broad Peak Team reached Base Camp a couple of days ago. They were hoping to kickoff the climbing, today. An Iranian Team of five members has also reached Broad Peak Base Camp. They report that there are currently six teams on the mountain. The Belgian Gasherbrum Expedition is another team who remained stuck in Islamabad due to Nanga Parbat incident. They flew to Skardu yesterday. The team now consists of expedition leader and four members. Team is currently in Askole awaiting their guide who was traveling via KKH along with team’s luggage. AMICAL alpin team is currently in BC and are reporting cloudy and snowy weather. Around a dozen members of Lela’s GI & GII expedition are currently trekking on Baltoro glacier towards the Gasherbrums BC. Majority of team members belong to Spain. Koblar-Partner GII Expedition reached the Gasherbrums BC on June 26th. 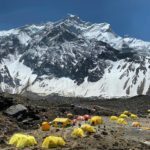 Suzanne Husser messaged from GII Base Camp, “We are all in BC, at 5050m, all alive and well and no worries.” Team is planning to start acclimatization from tomorrow and reach C2 (6800m) before returning to BC. As per Indrus news report, five Russians are climbing Gasherbrum (most likely the team is attempting GII and is led by Sukhanova Olga). Taiwanese GII Expedition is also currently trekking to Base Camp. Spanish Firefighter Carlos Garranzo reached Skardu on June 26th at 0100AM, after a prolonged journey through KKH. Carlos is now accompanied by Ecuadorian Jose Rivadeneira and an Austrian climber. They are currently in Skardu, getting ready for trek to Base Camp. 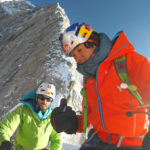 Austrian David Lama and Peter Ortner are acclimatizing for Masherbrum climb. “Just returned from a nameless summit, Peter and I spent the night at 6100 meters. Shocking to hear about the massacre, my thoughts go out to the families and friends of the killed people.” wrote David on his Facebook. Jolted by the Nanga Parbat BC disaster few climbers have called off their expeditions to Pakistan. Spaniard Ferran Latorre has postponed his Gasherbrum expedition for now. Despite reassuring messages and trust on Northern Pakistan people, he will not be coming to Pakistan this year. 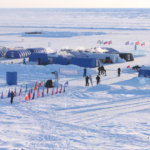 Finnish mountaineers Samuli Mansikka and Matti Ristinen have also cancelled GI expedition. Their plan was to reach Islamabad on June 24th. 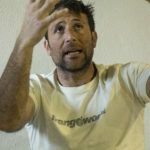 Polish expedition leader Krzysztof Wielicki says that he will not be leading a winter attempt on Nanga Parbat this year. Lithuanian Ernestas Marksaitis and Canadian Gabriel Filippi were teamed up to climb K2 after Nanga Parbat. Fortunately Gabriel left Nanga Parbat a day before massacre, but sadly Ernest was murdered at BC. Based in Lahore, Pakistan, telecom engineer and mountaineering enthusiast Raheel Adnan is a reporter for ExplorersWeb's mountaineering sections. He shares regular updates on Twitter and runs his own blog at AltitudePakistan posting initiated climbing news from Himalaya and Karakoram. Convoy getting ready to traverse KKH, few days back.